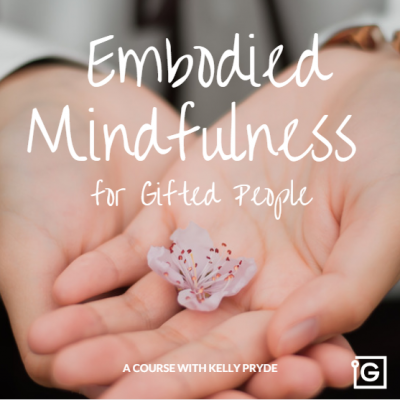 Join us from February to April 2019 as we once again express our thoughts, feelings and experiences together in a gifted community compilation. If you’re gifted and chronically ill or invisibly disabled, we warmly invite you to submit a piece to our upcoming compilation. You can submit an essay, article, short story, poem, or an image of an original artwork. We invite you to write about what it’s like to experience life with your own flavor of giftedness and illness or disability, in its complexity and paradox. This includes the painful and raw aspects, the existential questions and insight, the resilience and sense of humor, the unlikely connections and discoveries you’ve made along the way, who you’ve become as a result of your experiences, and other angles that perhaps only you can illuminate. Our intention is for you to be heard and taken seriously for the full complex, multi-faceted person you are, as well as to open the doors to constructive public dialog about this important issue. The term chronic illness is well-known, but the term “invisible disability” may be less so. Additionally, the term “disability” is an umbrella term with various meanings in various contexts. Typically, disability refers to a contextual (compared to the norm) impairment that may be cognitive, developmental, intellectual, mental, physical, sensory, or some combination of these; it is something which affects and typically limits or restricts (some of) a person's life activities given their context. It is an interactional phenomenon. In our compilation, we include any condition that you have felt as disabling in your particular context, such as learning disabilities, neurological or physical conditions, or even mental health conditions such as PTSD or CPTSD. 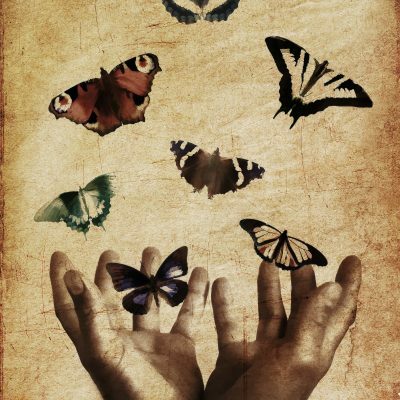 We want to make a special note that whether autism and ADHD are “disabilities” is a hotly contested issue, and for the purposes of our compilation, we invite our autistic contributors and our contributors with ADHD or any other contested “condition”, to focus only on what aspects of their particular experience they personally experience as disabling in their context, without generalizing to all autistic people or people with ADHD. For more information on our definition of terms, see our complete compilation guidelines: Making the Invisible Visible - Writing Compilation Guidelines. Deadline for submission is April 25, 2019 and the e-book will likely be ready for publication by the end of May 2019. For written pieces, we’re not setting a word limit, but a rough suggestion would be 3000 words average. You are welcome to publish with your name or anonymously, as you prefer. If you are not a native English speaker, we at the editing team will be reviewing for grammar and will suggest revisions if needed. 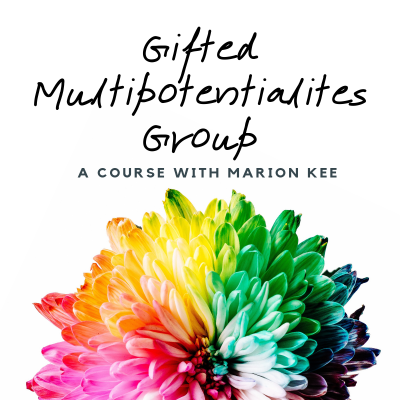 You do not have to be an InterGifted member to participate; however we welcome you to join our community here. For our members, we will have an event page in our group where you can ask questions or exchange ideas and thoughts with other contributors during the project, as well as connect with the editors (Karin Eglinton, Marion Kee, and Val Wiggin). For text-based entries: Please submit in a MS Word (.doc, .docx) or LibreOffice (.odt) document. For images: Please send in a hi-res image of your artwork (min. 300 PPI). If for some unlikely reason we feel that your entry does not fit into the spirit of our e-book, we will contact you with suggestions for how to re-work it. 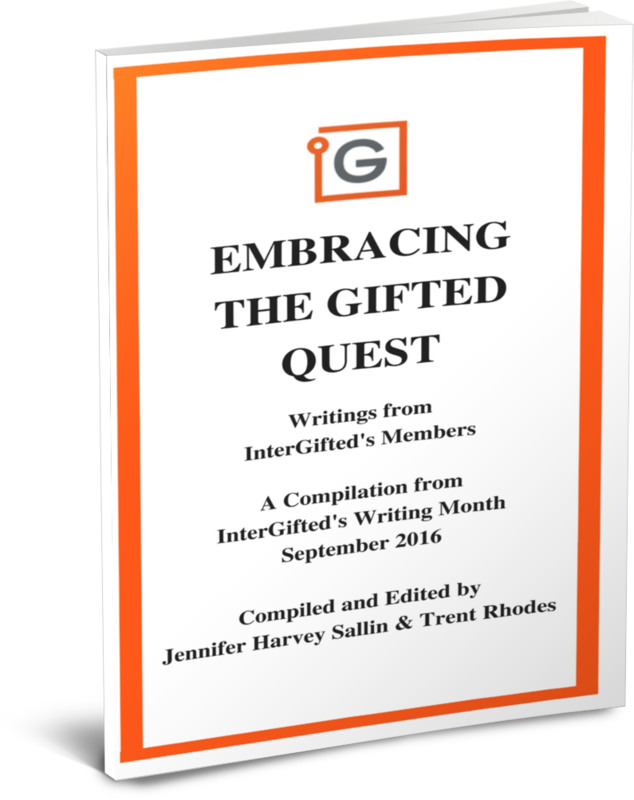 You are welcome to use your entry on your own blog, with a note that it was originally written for InterGifted’s Writing Month and a link back to our bookstore (when ready). Let us know in our facebook group or via email (karin.eglinton@gmail.com) that you are participating! Get connecting with others who are writing-- join the event page in our Facebook group. TO SUBMIT YOUR FINAL ENTRY: please email it to us by April 25, 2019 at karin.eglinton@gmail.com. Send your entries in MS Word (.doc, .docx) or LibreOffice (.odt) document and/or send in a hi-res (min. 300 PPI) image of your artwork. We will edit and compile the entries in May 2019, and put our ebook for sale on our website. The proceeds go to keeping our community fees affordable to all and to keeping our blog ad-free. Of course, all contributors will receive a complementary copy of the completed compilation. We look forward to reading you! 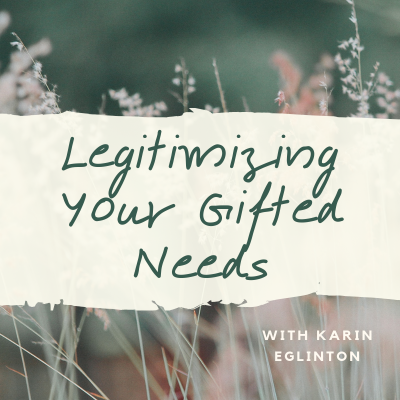 For questions, email Karin Eglinton at karin.eglinton@gmail.com.